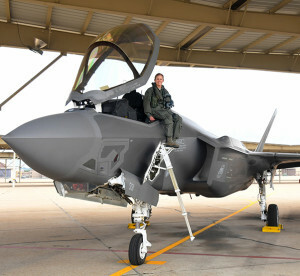 Col. Gina “Torch” Sabric, commander of the 419th Fighter Wing at Hill Air Force Base, Utah, and the Air Force Reserve’s first female F-35 pilot. Before she climbed into the world’s most advanced fighter jet to become the Air Force Reserve’s first female F-35 pilot, Col. Gina “Torch” Sabric had already flown 10 airframes and racked up 22 years of flying experience. Service is in her DNA. Growing up in Tobyhanna, Penn., her mother was a nurse and her father a police officer, and she had several uncles who served in the Air Force. But it was a trip to a local air show that turned her aviation dream into a tangible goal. Twice in her teens she went to U.S. Space Camp in Huntsville, Ala. A few years later, she had followed in her dad’s footsteps, earning a private pilot’s license while studying aerospace engineering at Penn State. By 1995, Sabric was ready to join the Air Force and had no doubts she’d be wearing a flight suit. Sabric proved herself as the top graduate from navigator training, launching her career first as an F-15E Strike Eagle weapons system officer and later as a distinguished graduate from pilot training into the F-16 Fighting Falcon. 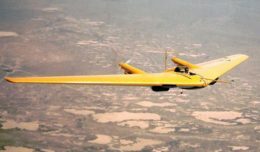 Add to that the MQ-9 Reaper, a remotely piloted aircraft, and the T-38 Talon, which she flew as “red air,” or simulated enemy against F-22 Raptors. Most recently, she flew special operations missions in the C-146A Wolfhound out of Duke Field, Fla. Her career is different in other ways, too. Sabric said she’s grown accustomed to answering questions about being a woman in the fighter world — one that, until 1993 when Jeannie Leavitt became the Air Force’s first female fighter pilot, was dominated by men. Sabric said a lot has changed in the past 20 years. She doesn’t feel like “the token girl” in the squadron. She has more than 2,500 flying hours, including time in combat, and has deployed numerous times in support of Operations Allied Force, Enduring Freedom, Iraqi Freedom, and Noble Eagle. Sabric said she loves talking to school groups and touting some of the ways both men and women can serve in the Air Force Reserve. Still, there’s only a small number of women fighter pilots in the Air Force, and only three others — all active duty — in the F-35 community. Sabric said the birth of her son, Tyler, in 2011 was the deciding factor in leaving active duty for the Air Force Reserve, as it offered more flexibility in how and where she served. Earlier this year, the Reserve brought Sabric, a single mom, to Hill AFB in Northern Utah, where less than three years earlier the 419th FW and its active duty counterpart, the 388th FW, received the Air Force’s first operational F-35A Lightning II. Since then, the two wings have flown the F-35 in a “Total Force” partnership, launching more than 9,000 sorties and logging nearly 15,000 hours in the jet. Sabric became fully qualified in the F-35 in August, having finished two months of training at Eglin AFB, Fla., and additional flying hours at Hill. Aside from the stealth technology that keeps the F-35 virtually invisible to radar, Sabric said the most impressive aspect of the jet is its “sensor fusion” — the vast wealth of information it collects and sends that can be shared with other aircraft, giving pilots a bigger picture of the battlespace. Sabric looks forward to helping the F-35 reach full operational capability at Hill. By 2019, the base will be home to 78 jets and four fighter squadrons capable of worldwide deployment. It’s a responsibility and privilege she couldn’t have imagined as a girl growing up in Tobyhanna.